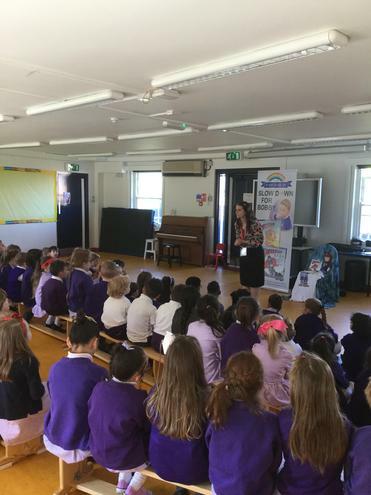 Last Thursday, we had Jude Lennon from the Bobby Colleran Trust come into school to talk to the children at our assembly. 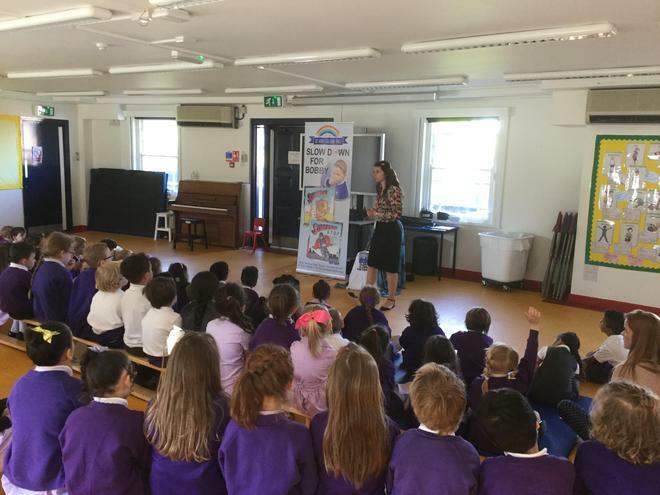 Jude has recently published her second 'Super Bob' book and during her visit read her book to the children. 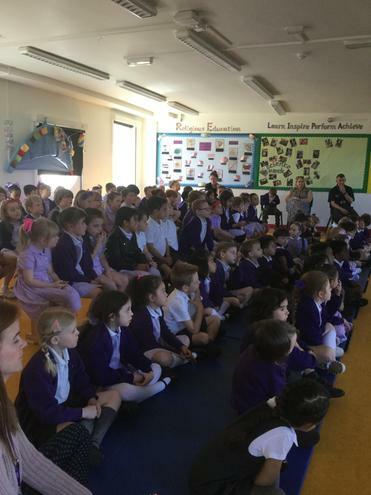 The first book focuses on general road safety while the new book is about careless and dangerous parking outside schools.